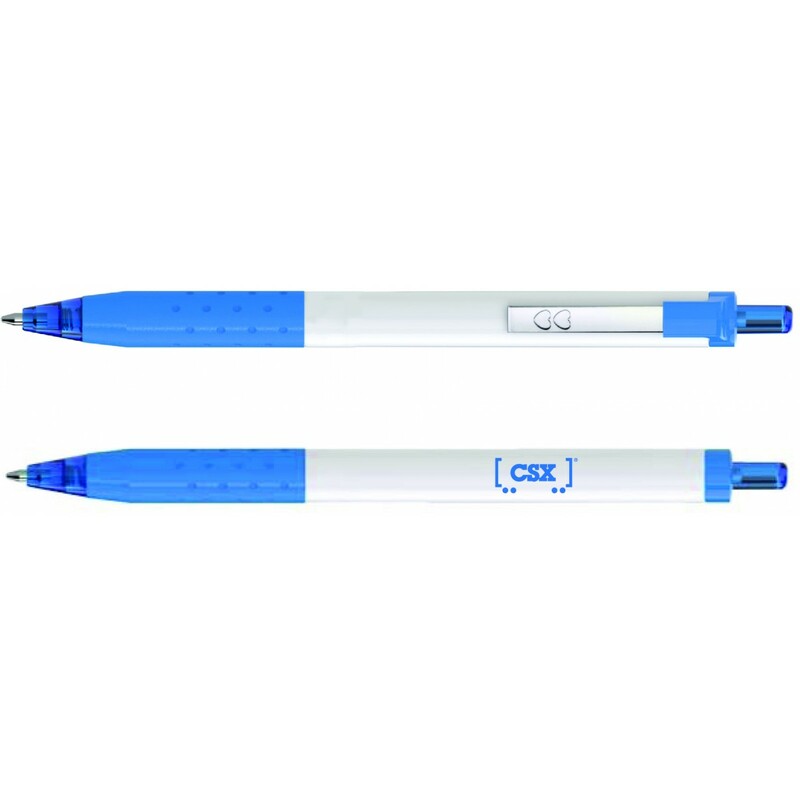 CT2580 - Retractable ballpoint. White barrel with blue trim and blue ink. Comfortable rubberized grip. CSX logo in blue to match trim.